Porsche has taken a 10% minority share in Rimac Automobili. It’s a Croatian electric sports car company that’s an expert in producing high-performance vehicles. What does this mean for Porsche? Porsche concept cars are pushing hard into electric sports car territory. The brand already has some excellent examples that reflect its long history of aggressive sports vehicles, like futuristic Mission E.
Porsche wants to fuse its greatest traditional strengths with forward-thinking pioneering. There’s no better way to do that than to begin partnering with Rimac. Porsche may have the world’s top engineers and the budget to figure out tomorrow’s sports cars. Mate Rimac started building them in his own garage. Porsche and Rimac come at the electric sports car with similar goals, and different knowledge about how to get there. 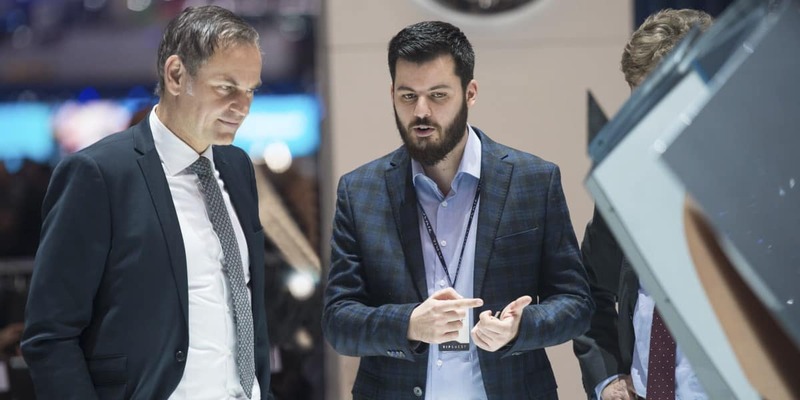 Rimac featured its C Two car at the 2018 Geneva Motor Show. What can it do? It’s a two-seater with enormous power. It boasts 2,000 horsepower, has a top speed of 256 mph and a range of 404 miles. A beast like that must take days to charge, right? Nope. A consumer-level fast charging system can get the C Two to an 80% charge in only 30 minutes. Porsche and Rimac expect to share knowledge that can benefit them both – and most of all, the driver. Porsche itself has poured its engineering focus into fast, powerful electric sports car models, as well as fast charging systems and stations across the U.S. Expect to see Rimac’s influence in a few Porsche concept cars soon. You may also see Rimac’s impact in Porsche’s fast charging stations – in their accessibility and charging time. Porsche is determined to give electric vehicles the same kind of recharging accessibility that gas powered cars have to refuel – at a fraction of the cost. This is a rare opportunity for two pioneers to share knowledge on the future of driving. Porsche drivers stand to reap the benefit.